The Bible is not a book, it is a library of 66 books written by approximately 40 authors, through divine inspiration from God. There are 39 books of the Old Testament ranging in time from Creation to approximately 400 years before the birth of Jesus Christ. There are 27 books in the New Testament from the birth of Christ to the prophetic book of The Revelation of Jesus Christ. All of these books together detail everything from the beginning to the end and the ultimate battle of good and evil that is eventually won by God. It is possible to read the Bible, its actually pretty easy to do. I can attest to that as prior to my enlightenment in 2014, I had read the Bible. Did I understand it, certainly not! While I was in jail, I read it twice, and the second time I really did begin to grasp the full concepts that are offered, but still have a lot of learning. This week I am going to try to walk you through the Bible and give you some facts along the way. The Bible was the first book ever mechanically printed. In the 1450s Johannes Gutenberg published a 42 line Bible using movable metal type in Mainz, Germany. The Bible is also the most widely published and distributed book in the world. Over Five Billion copies have been distributed. As of October 2017 The Bible has been translated into 670 languages. Some portions of have been translated into 3312 languages! Even with the modern day internet that reaches all around the world, The Bible still has mass appeal! The first word in the Bible is “In” as in Genesis 1:1 “In the beginning God created the heaven and the earth.” The final word in the Bible is “Amen” as in Revelation 22:21 “The grace of our Lord Jesus Christ be with you all. Amen” and with those final words written by the Apostle John, the written word ends. Between those two words there are in excess of 780,000 others! The most commonly used word in the Bible is Lord, followed by God. The shortest book in The Bible is Obadiah in the Old Testament and is a story about the judgement of Edom and the restoration of Israel. The longest book in The Bible is Jeremiah and tells the story of Jeremiah (a major prophet) and his Messianic Prophecies. The shortest chapter in The Bible is Psalms 117 and strangely enough the longest chapter is just two chapters ahead at Psalms 119. Both are attributed to King David. Psalms 117 is also at the exact centre of the King James Bible. There are 1189 chapters and it is chapter 595! The most prolific author (with divine inspiration) is the Apostle Paul. He wrote 13 books of the New Testament, 14 if you include Hebrews which is disputed. This is more amazing if you understand the back-story of Paul, who was a Jew who persecuted and killed many early Christians before his life was changed on a deserted road on the way to Damascas, Syria. At that point after an encounter that cost him his sight, until it was restored, he became one of the strongest promoters of early Christianity. There is a popular misconception, including originally by me, that the God in the Old Testament is different from the God in the New Testament. This is totally false. There is only one God, and he never changes as stated in Malachi 3:6a: “For I am the Lord, I change not;” He has always been the same, even though we may perceive Him differently. In the Old Testament, the Jews struggled to follow His laws, and therefore they suffered many trials that some have claimed was God giving undue punishment, but instead it should be seen as “tough love.” From beginning to end, God is showing His true love for us, even when we (or the Jews) did not deserve it. He also uses the Bible and the Scriptures to teach us life lessons and truths. Psalms, written by King David, the greatest king to rule over Israel and an ancestor to Christ, teaches us how to sing praises and prayers to God. Proverbs, written by King Solomon (David’s son) and possibly the smartest man to ever live, teaches us many truths that are still valid. The letters that Paul wrote in the New Testament were to educate the local churches of their issues, but read carefully and you’ll find that what Paul was saying then is still very valid today also. 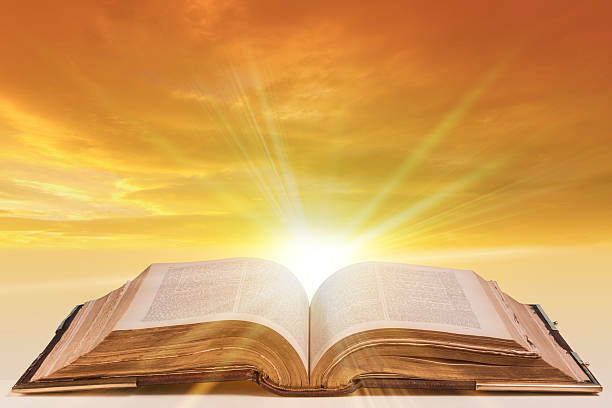 The Bible is not an ancient book to be used as a dust collector, it should be opened every day to gleam knowledge. Reading The Bible should not be considered a task or a duty, it should be undertaken as a joyful celebration of learning about God’s love. He gave us these words so that we could learn His character and spend time with Him. Before starting, say a small prayer asking for englightenment and inspiration. Try to spend time each day reading His Word. The joy that you’ll find is indescribable. I still consider my time with God as the greatest part of my day.